Family-friendly places like Adventure World Perth Australia and Perth Zoo will thrill your kids. Change things up with these side-trips from Perth: Caversham Wildlife Park (in Whiteman), Fremantle Prison (in Fremantle) and Rockingham (Rockingham Beach & Penguin Island). 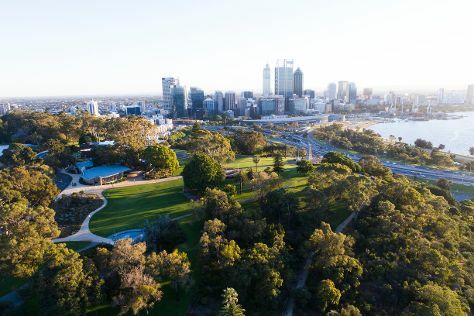 There's lots more to do: take in nature's colorful creations at Kings Park & Botanic Garden, enjoy the sand and surf at Scarborough Beach, stroll through Cottesloe Beach, and steep yourself in history at The Perth Mint. To see ratings, where to stay, other places to visit, and other tourist information, go to the Perth road trip planning site . Singapore, Singapore to Perth is an approximately 8.5-hour flight. You can also do a combination of bus and flight. Traveling from Singapore in November, you will find days in Perth are little chillier (33°C), and nights are cooler (15°C). Wrap up your sightseeing on the 24th (Sat) early enough to travel back home.